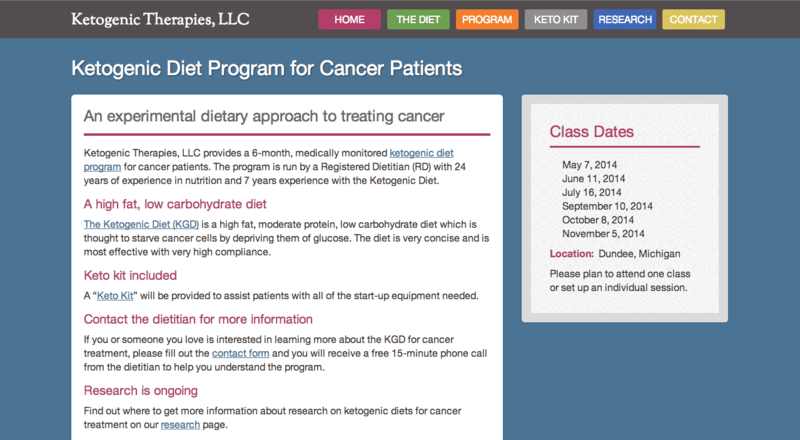 I built ketogenictherapies.com in AngularJS. The client required a site that was upbeat, yet tasteful for the intended audience of terminal cancer patients. This static site made use of Angular’s routing feature and includes some jQuery effects.